We are a major Manufacturer, Exporter and Supplier of UV Coating Machine. 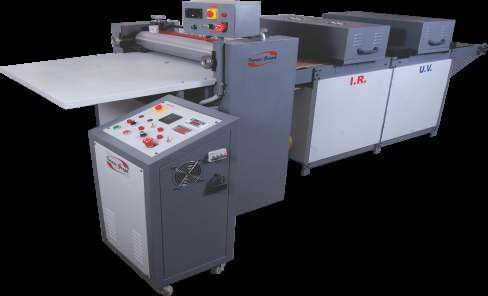 The UV Coating Machine comprises of manual fed coater for duplex boards and thick paper above 250 GSM. The UV Coating Machine coats UV varnish or any other lacquer very smoothly. The UV Coating Machine is available in various sizes. The main advantage of UV Coating Machine is that it gives uniform coating and is also noiseless. The UV Coating Machine is also suitable for heart seal lacquer. 2000 sheet / hr. approx.